Kelly Moreno knows your brain. Prior to penning his first novel, a revenge tale entitled A Duty to Betray, Moreno led a long career in the field of psychology as a professor at both UCSB and Cal Poly SLO, amongst other universities in the nation. His latest endeavor is authorship. Manifested in this tantalizing thriller, the psychology professor proves the capacity to consume your brain. His psychological knowledge is evident in the novel’s suspenseful plot, which is eerily interwoven with lyrics from The Eagles’ “Hotel California.” The song is rumored to be a reference to the Camarillo State Hospital, which later became the campus for CSU, Channel Islands after being shut down in the ’90s. It is not by mistake, then, that the story takes place at the Camarillo State Hospital in these final weeks. The plot follows a young, well-meaning psychologist working with patients at the hospital as he deals with the chaos surrounding the final weeks of the hospital. Adding to his already stressful agenda, a sly and angry past patient has found his way back into Dr. Ricardo Ruiz’s life with underlying intentions to destroy him. Each new chapter keeps readers on their feet, switching between narratives following the protagonist Dr. Rick Ruiz, his vengeful patient Mr. Tran and the sweet, shy alter-ego cultivated by Mr. Tran, Camille. The presence of multiple perspectives teases readers’ curiosity and feeds their desire to dive deeper into the story. Each chronicled character has a slightly different writing style dedicated to them. Brief chapters swiftly shift between characters and settings play out like an intense crosscutting sequence in a thriller, making it impossible to lose interest if only for a moment. It’s hard to tell whether Moreno was directly influenced by Chuck Palahniuk, author of Fight Club and Choke, but you get a sense of similar writing styles between the two throughout the novel. This is especially prominent in his crude second-person accounts of Mr. Tran. The book is replete with factual psychological terms, details and diagnoses, giving readers what seems like an actual inside look at what life is like on the inside of notoriously private psychiatric hospitals. You get a sense that you are gaining worldly information, even though the heavy suspense makes the book feel like a guilty pleasure. 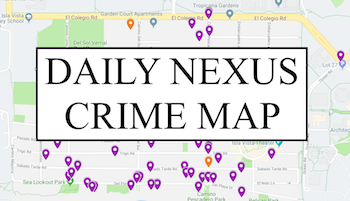 The thriller is especially tailored to feel familiar to readers local to Santa Barbara, by constant references to State Street, Goleta, Isla Vista and of course UCSB. Ultimately this book serves as the optimum pleasure read, but should be taken up with caution; it may cause you to go AWOL for hours. thank you kindly for your very well-written and favorable review of my novel, A Duty to Betray. 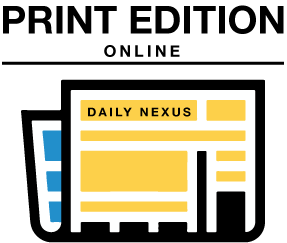 your article is the first on the book, and it’s particularly meaningful to me that it came from the Daily Nexus. i wish you the best at ucsb and your (bright) future as a journalist!